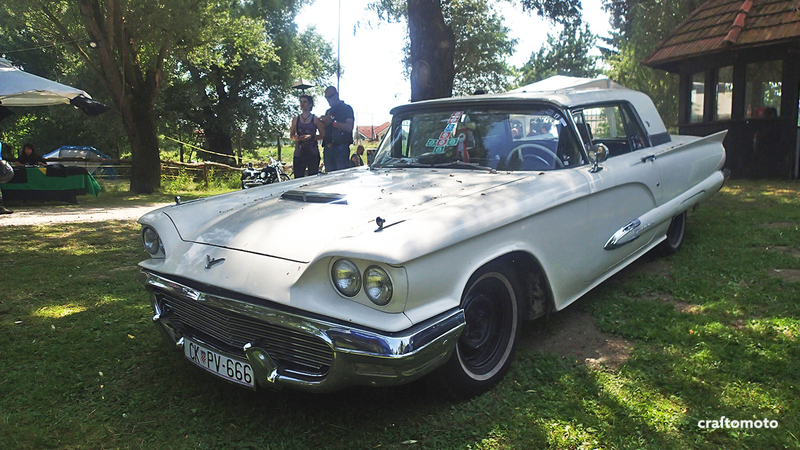 Trash’n’burn – american car meeting and rock’n’roll festival is surely our most anticipated event and it’s always great fun to be there. 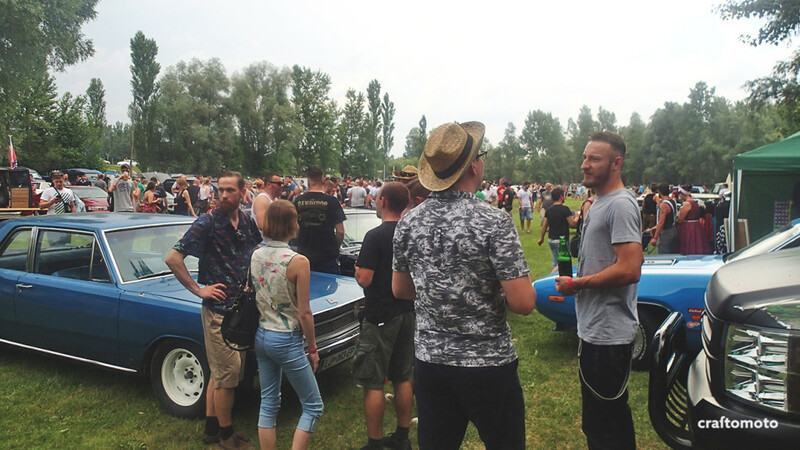 Great cars, beautiful pin-up girls, fantastic concerts and the best of all – company of the people who are also visiting the festival. Let me put it this way – when you go to a big concert or a car museum you have certain expectations, and out of hundred visits you will get hundred similar experiences. But with this kind of festival you never know what to expect, because it never the same, although it looks the same. It’s hard to explain 😀 And this is why we like it so much, because of this adventurous moment. After visiting numerous festivals, we realized that if we haven’t got lost going there, if there isn’t some kind of weather situation, or some small and silly problem, if there’s nothing to tell – it simply fades from out memory and we can’t tell them apart. The festival already began on Thursday, with a pre-party, but we came there Friday afternoon. Day before the trip we decided to camp on the spot and avoid complications with accommodation and driving at late hour somewhere to town, like we did last year. Since our teardrop camper is still in production, we needed to get a tent, so I went to pick it up at my parents’ house. Upon return, we finally packed everything and went to the printing office to print some flyers for our brand new custom furniture line that we were planning to present there. There was a hundred degrees outside, Goga’s sandals literally melted on the asphalt, our car was loaded with stuff but – we had our flyers! I was kinda anxious to get there, so I pushed our fully loaded 1.3 Mitsubishi up to 110 km/h on the highway, which is something like warp 8 in Star Trek terms. Did I mention that just a few hours before I have found out that because of faulty gasket car lost like 80% of oil. No need to tell that the dip stick was completely dry when I was measuring it – I’m just saying this because this car still amazes us, it’s unbreakable! Anyway, after some boring sunny drive we arrived at our destination where our friends already waited for us and helped to unload the car. 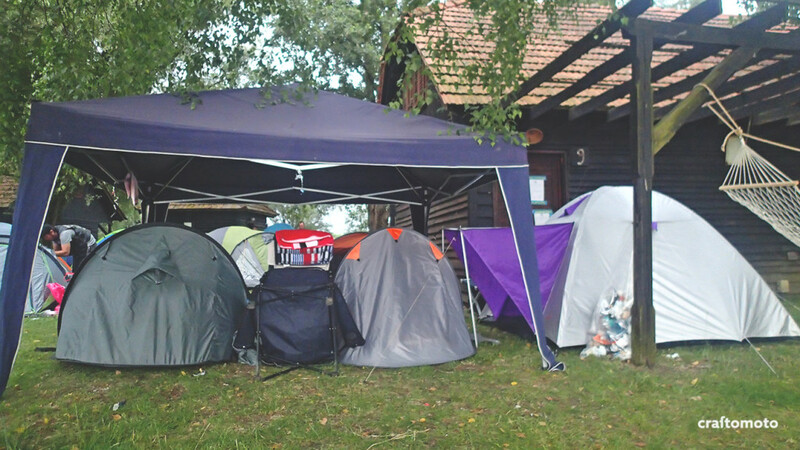 After the furniture booth was set, we went to the camping area to assemble our new hippie home. We found a nice spot by the river, with bunch of ducklings and swans, very important detail if you ask Goga. The tent was pretty old, so with almost every tightening something broke. But hey – what are the chances for the bad weather except the fact they were forecasting it for days. This year we even filmed some stuff… unfortunately we weren’t too careful so we didn’t go full HD. This is also the reason why our photos are pretty crappy, at least in comparison with the last year photos (same camera). There’s no point in torturing you with some more, so – check out the burnout! It’s kind short (director’s cut). Every time someone organizes an event, some bigger or minor problems appear and that’s completely normal – most of the time they generally do not affect the ultimate experience, but it depends how the organization crew handles them. If the guests are pleased and entertained, even the biggest failure can turn out good. So, we called this T’n’b edition – “The festival of epic saves”. After excellent Twisted Rod gig (video below), well known burlesque artist Kalinka Kalashnikov started her show. The minute before the climax of the show, the fuse or something blew off and everything lost power. Lights, music – everything gone. Usually something like that would mean disaster for the show, but what happened next made it fantastic. 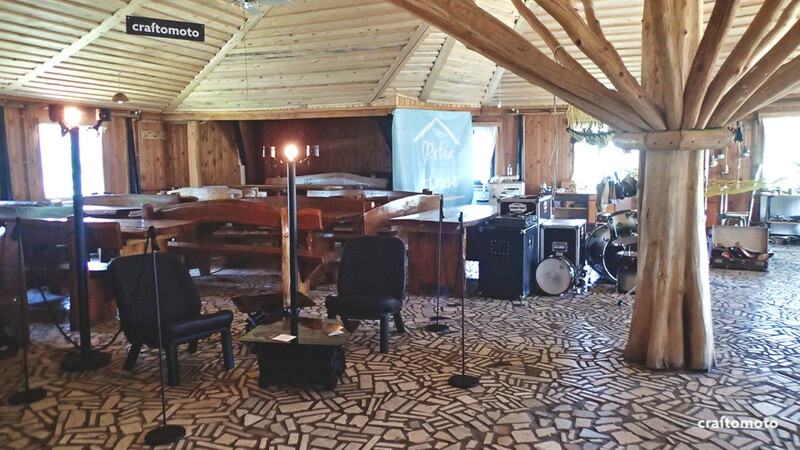 Few seconds in the power outage, one of the band members who was disassembling the stage, began drumming the same African rhythm, saved the day and allowed the show to finish in its full glory. The next day, before the King D & The Royals Of Rhythm gig started, there was a delay and problem with speaker system that lasted probably a good half an hour. At one point, the band decided to go unplugged, they walked off the stage and started playing in the middle of the audience, while the tech guy finds the solution. The main singer tore his throat while giving his best to entertain, together with his band and accompanied by audience. What we’re trying to say – each potential failure was handled like it was almost a feature to enhance the festival experience. Half an hour later sound problems were fixed and the the band rightfully reinstated itself to the stage to finish the gig in full power. The next gig was accompanied with the lead singer from the King D, but this time as a harp player. Hipbone Slim & The Knee Tremblers gave the audience what they wanted and that was the coolest gig ever! I really appreciate bands that are playing like their life depends on it. B & The Bops were also in the doomsday edition It’s a shame we didn’t filmed it, I suppose that the battery died in our potato-camera. Before the late night concerts, the wind picked up, temperature dropped, sky closed and the camp started preparing for the apocalypse. Driven by experience and having redundant covered stage, the rain was only a small nuisance. Except for a few bikers that had to left earlier than planned. Our tent was secured with double pegs in different directions and well secured, but what we didn’t expect was the tent had leaking issues. We were to tired to care, so we just put some towels around and fell asleep. Luckily, we stayed on the site and didn’t flood. 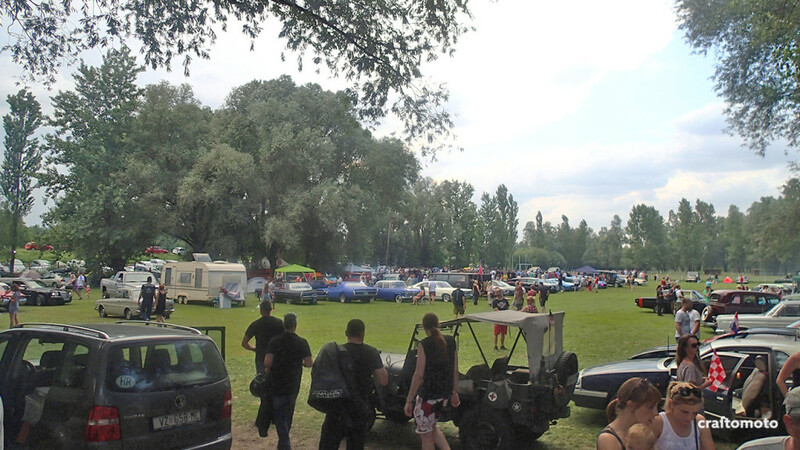 Trash’n’burn started small, and now, 8 years later, this Neven Faić’s brainchild grew into one of the best vintage and car meetings in this region, with many visits of local and international guests. Having that said, we’re really looking forward to come again for a next year’s event!